Ottawa has been jumping since the Sens defeated the Sabres on Saturday 3-2 OT on Alfie's quick snap shot at 9:32 of OT. Where were you for the goal, most fans were glued to the TV in the afternoon as it was a 2pm game. I was surrounded by my family and my sister's family for a long weekend BBQ. The beer and ribs tasted a lot better after Alfie's goal. 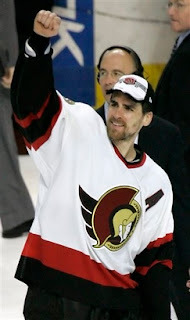 It was so appropriate that Alfie scored the winner for the team after his own adversity over the years with Ottawa. Great to see, who will be the opponent, who cares, we'll beat them. 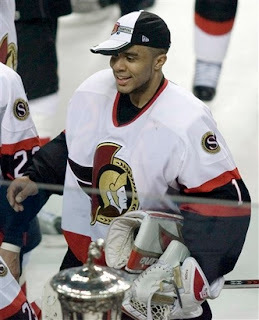 Tickets won't go on sale yet for the finals but they will be a hot ticket in Ottawa for sure. Will keep you updated.